Wonderful family home on a quiet cul-de-sac in Huntington Park, one of South Surrey's most desirable neighbourhoods. 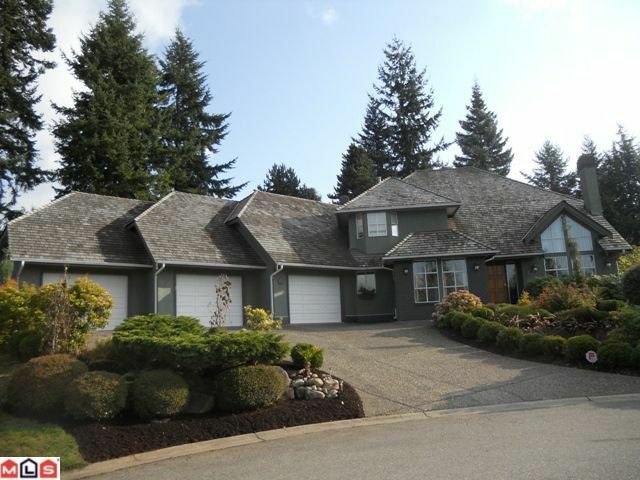 There is plenty of space for the whole family in this 3395SF house on a 14,000SF lot. Great floor plan with four largebedrooms, family room, games room, conservatory and open den. Double doors lead from the kitchen to a large, private backyard with mature landscaping, fruit trees and luxurious hot tub. Interior upgrades include new high efficiency furnace, heat pump and air filter in 2010, new built-in vacuum, fresh exterior paint, kitchen and bathroom updates. New 35 year roof, hardwood and kitchen tile floor with "Nu Heat" in 2008. Short walk to Cresent Park Elementary and Elgin Park Secondary.